The Indian Judicial system is rather complex. It has several acts and sub-acts, which makes judicial proceedings rather long-drawn. Even though critics have several negative things to say about Indian judicial system, it has the capability to punish perpetrators adequately. Since the court proceedings take time, people often face several issues. To put a stopper to this, Indian government has introduced technology in it. From now on, people will be able to attain information about cases and judgments via eCourts Portal and eCourts Mobile App. 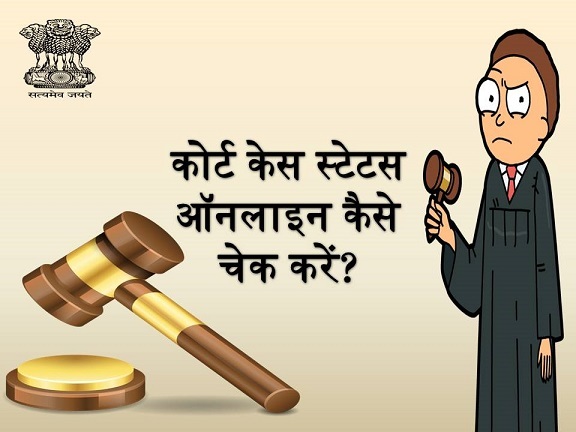 Brining technology in judiciary – Modi government has been trying hard to introduce technology in all spheres. It is only obvious that judiciary will not be left behind. The main objective of launching the portal and app are to pave the path for technology to enter judicial department. More convenience for people – Both eCourts website and app will make it easy for people to keep of their cases. For this, they no longer have to show up at the court complex. This saves time and effort. Get instant case details – With the help of the portal and app, any person will be able to get case details immediately. Geographical distance will no longer be an issue for people. Notifications regarding updates – The site and app will also assist people to get easy notifications about new updates in the case. Hoe to attain information about any case? The https://services.ecourts.gov.in/ is the official portal link to reach eCourts website. Any applicant will be able to get his/her hands on case details by logging on this site. People can use case filing number, names of the parties, or the CNR code to bring up the case details. One can also search with the names of advocated, who are representing the parties. Once the interested applicant clicks on the link, the CNR number default option will open up. In case this does not happen, then applicants must click on the “Search Menu” section. In case the person has this code, he/she can type it in the respective slot to attain case details. This will trigger the site to check the database, and eventually produce all case related details. How to check case status via the portal? Whether it is to attain details of any case or check the current status, interested candidate will have to click on the official link of the portal. Once you click on https://services.ecourts.gov.in/ecourtindia_v6/, a new page will open up. Here you will get several other options, each pertaining to some function. Once you spot the “Search Menu” section, you need to click on the option that is marked as “Case Status.” This option will highlight the details about the current case status. When a new page opens, applicants will be able to generate a search with their state, district and case number. It is also possible to highlight the specific court complex, where the hearing is done. How to check case judgments? Both the portal and the application will allow users to keep close watch on any impending judgments. Apart from this, if the courts pass any orders, those will also be highlighted accordingly. If one desires to check judgments and orders from the portal, then he/she needs to clock on the authorized link, i.e. services.ecourts.gov.in. This will trigger the site to open a new page. Here, users will be able to pick state or district and search for the case details. In case any updates have been made by the court, regarding judgments or other orders, those will be highlighted here. For the first time, Indian Judicial Department has launched two separate versions of the eCourts App. One is for individuals who use iPhones and the other will help individuals with Android phones to keep track of cases and judgments. People who have iPhones will be able to get their hands on the application from the App Store. They can also click on the link https://itunes.apple.com/in/app/ecourts-services/id1260905816?mt=8 to get the same. Once you get to the app, click on the download button. Once the downloading is complete, the mobile user has to click on the install button. This will install and save the app on the smartphone. After this, the user will be able to keep track of court proceedings and judgments easily. It is not possible for any sphere to develop without the use of technology. The launch of this portal and app is another step towards Modi’s dream of Digital India Mission. These two weapons will eliminate fear of courts from the minds of commoners. Apart from this, these two digital platforms will also boost the online and digital literacy among people from all sections of the society.